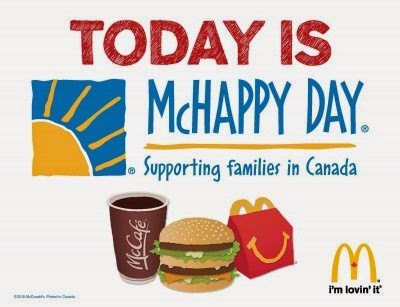 Mcdonalds McHappy Day is Wednesday, May 6! This event supports a great cause! $1 from the sale of every Big Mac, Happy Meal and any hot McCafe beverage will go towards the Ronald McDonald Houses and other neighbourhood children's charities across Canada.